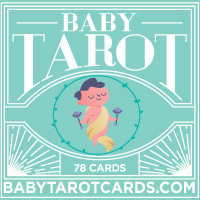 Baby Tarot is a boutique Tarot deck designed specifically with new parents, babies, and toddlers in mind. The last decade has seen an explosion in Tarot popularity, and Baby Tarot joins the movement with a unique perspective on a classic card system. 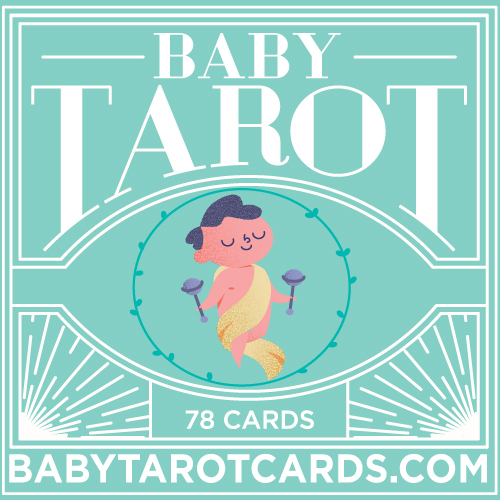 Baby Tarot: Divination for the Next Generation! Full sized 78 card Tarot Deck, with 40 page guidebook. Vibrant full color images, printed on high quality 310 GSM Cardstock. All fits inside shrinkwrapped, embossed tuckbox.